Austin-based Cute Nail Studio just launched its own custom polish line. The 7-free, vegan line is available in 17 exclusive shades, ranging from All is Full of Love and Artificial Banana to Brian Slade and You Can’t Do That on Television. The polish names came from puns, pop culture, Enochian mythology and even one named after owners’ daughter, Felix Moon. “Two things we really pride ourselves are aesthetics and quality. 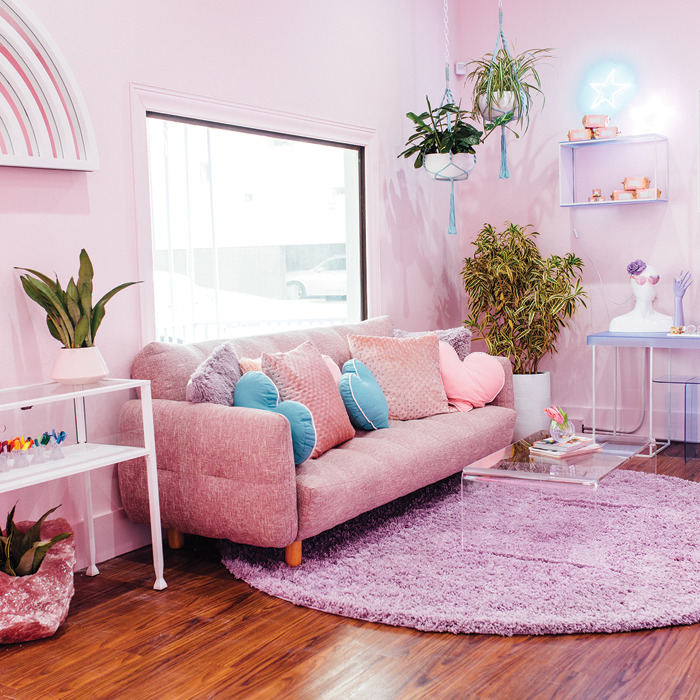 We wanted to ensure our polishes were made to the highest possible standards,” said Cute Studio co-owner Maria Darling. Ten percent of profits will be donated to Austin-based nonprofit organization Out Youth, supporting the LGBTQIA+ community and offering health and wellness services. Cute is a proud sponsor of their Trans Wellness program, providing support groups, short-term counseling and other resources to trans and non-binary adults.